Choose to be Happy: the best kind of luck! the best kind of luck! this little lady just so happened to show up on my desk this morning! just popping in to let me know lots of good things are in store for me this weekend. becauseeee today i am going on a little vacay to visit my Stone! Awww, yay! That's definitely a good sign :) Have a wonderful time!! Aunt Jayne got the nickname Jaynebug as a little girl after she tried kissing a lady bug and ended up swallowing it! Have a great trip! exactly how much luckier could a weekend get when you get to see your stone?? ;) have so much fun! eeee love little weekend trips! hope u and stoney have a great time! awww muffin! have fun with your main man! and YESSSSSS date with you sooon! Have fun lovely! And that song... I am obsessed! have fun on your road trip!!!!! 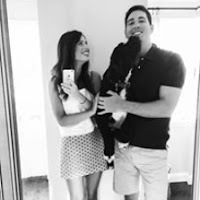 excited for your weekend with your man : ) happy friday, buddy! Hope you had a great trip! 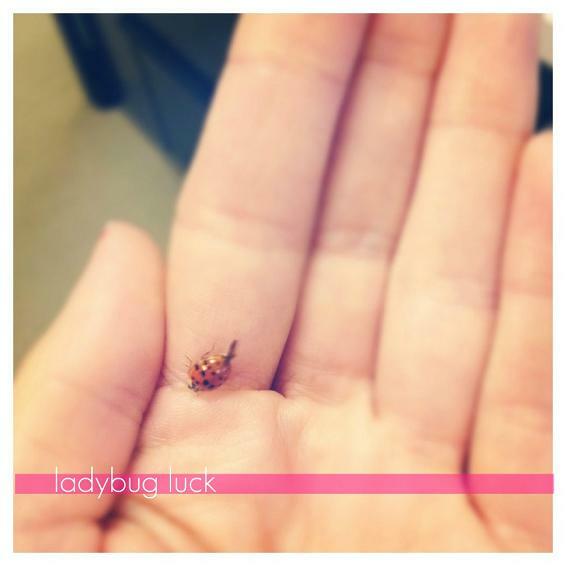 I love Lady Bugs! !